Nissan has kicked off a new and exciting partnership with the Union of European Football Associations Champions League. The automaker launched their Engineers of Excitement Program, which strives to enhance the fan experience at the 2014 UEFA Super Cup on August 12. Real Madrid trampled over Sevilla, 2-0, for the record. As part of Nissan’s sponsorship, the automaker has recruited Barcelona central midfielder and three-time UEFA Champions League winner Andrés Iniesta, as well as central defender and Paris Saint-Germain captain Thiago Silva as spokesmen. To-date, they’ve made a brief appearance in a new teaser ad (shown below) that promotes Nissan’s partnership with the UEFA Champions League. You can expect to see more commercials headed our way in the future. As an effort in their Engineers of Excitement program, Nissan provided 600 free tickets for local youth sports groups; provided one family with an opportunity to watch Real Madrid CF and Sevilla FC take part in their on-pitch training sessions; and helped transport the UEFA Champions League, UEFA Europa League and UEFA Super Cup trophies around Wales for an opportunity for fans to see the trophies in-person. Here at James Ceranti Nissan, we’re excited to see what this sponsorship will bring in the months to come! Here at James Ceranti Nissan, we can’t wait for January. We know, we know—the calendar has only just turned to August, but we can’t help it. You see, Nissan is planning to unveil an all-new Nissan Titan pickup truck at the 2015 North American International Auto Show in Detroit this coming January, and we just can’t take the long wait. 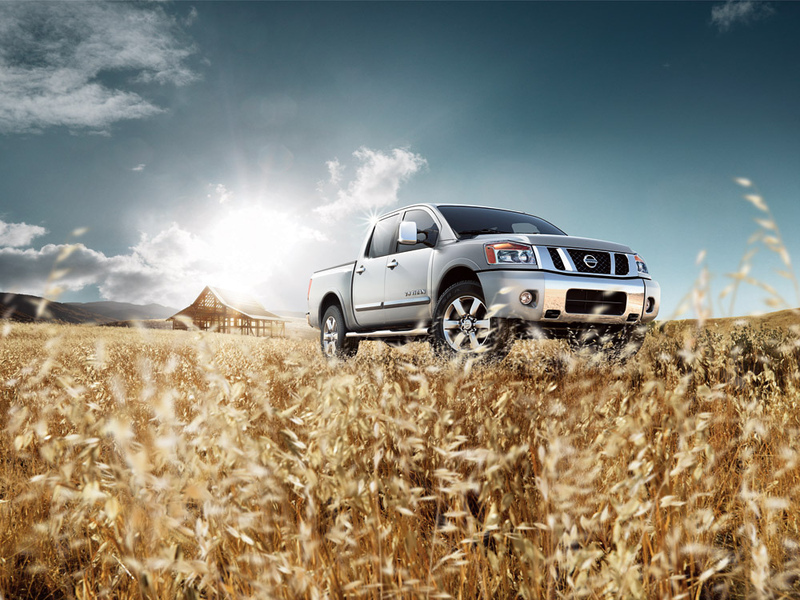 Thank goodness for Torque News, though—they recently put together a wish list for the new 2016 Nissan Titan, and we devoured the list and now we’d like to share it with you as well. You can read that article on the Torque News website, where you’ll see that the Titan is expected to include more—and bigger—powertrain options. First and foremost, you should see a Cummins diesel engine option, a 5.0L V8 Turbo Diesel Engine that will deliver massive numbers. Of course, that diesel engine, and other powertrain options, will also help the Titan bring better gas mileage to the table for the next generation of truck drivers. Check out the rest of Torque News’ wish list, and then maybe even add your own items to that list. And, of course, come see us here at James Ceranti to check out the Titan—and the rest of the Nissan lineup—for yourself today. Ever Wondered What it is Like to Own a Nissan LEAF? The “Think Green” mentality has caused many car owners to rethink the way they travel on a day-to-day basis. Nissan offers consumers the solution to reducing drivers’ carbon footprints: the Nissan LEAF. However, it can be pretty daunting when deciding to go with an electric-only vehicle. There are many questions about switching to an electric-only vehicle that are probably going through your head this very minute. However, there is comfort in this time of distress for anxious car buyers. Nissan is turning over a new leaf (get it…?) 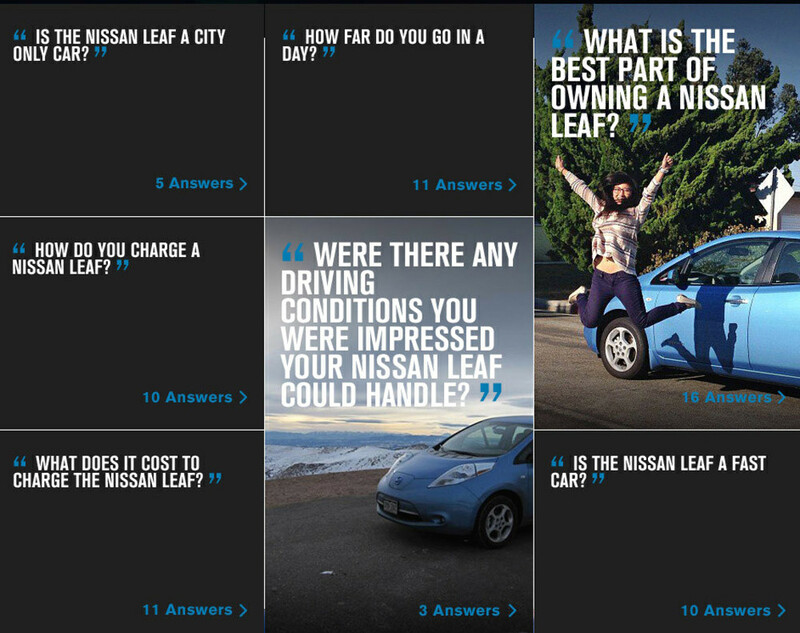 and they have now developed a new page on their website called the Nissan LEAF Q&A: Real Owners, Real Answers. This page allows real owners of the Nissan LEAF to answer common questions that consumers have about the switch to the electric-only option. You can now read different viewpoints on topics such as cost, length of travel, daily charge routine, comfort and drive. There are a total of 44 common questions that consumers can look into. The amount of answers vary per topic, however, each has at least five answers to compare. If you’re thinking about making the switch to an electric-only vehicle, we think that the Nissan LEAF is a great option. Come visit us and find out more!